Q. Is this bike better than RE Thunderbird 350X or should I opt for another cruiser bike? Please suggest me the best cruiser between 2-2.5 lakh? I am lucky as a owner of renegade commando. Q. How is the performance of renegade commando? Q. In case of self start fail then how we will start the bike? Q. Is it a reliable? Is it manufactured in China? What is the quality? Q. What is maximum speed? 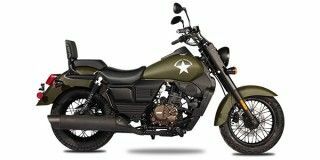 UM Motorcycles Renegade Commando comes with a fuel tank of 18 Litres capacity.